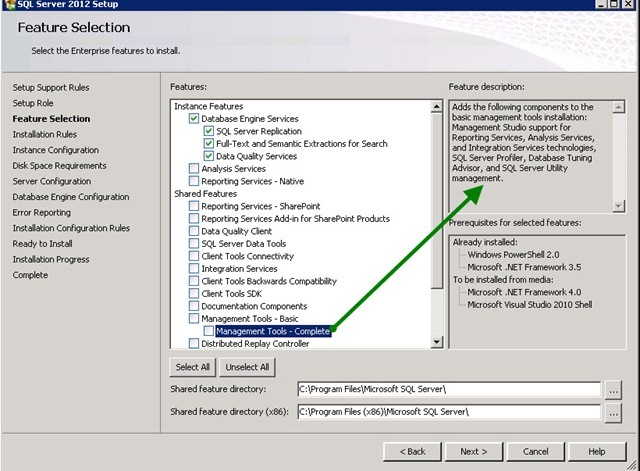 Help: SQL Server Management Studio is allowing me to connect only to Database Engine! What’s wrong? 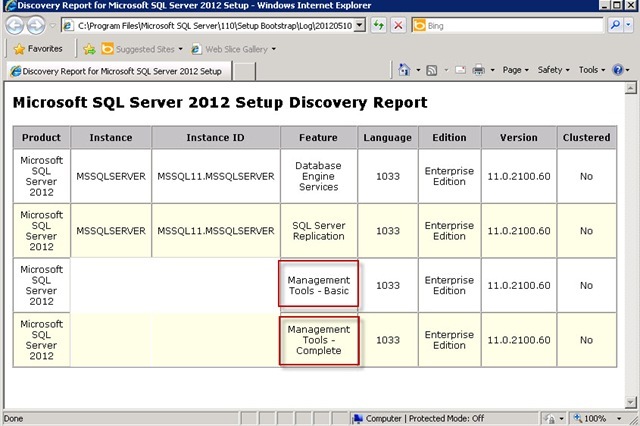 Analysis Services, Integration Services, Reporting Services are grayed out/disabled. 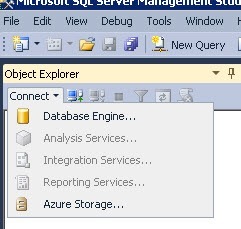 I thought that this might be due to SSMS Express but looking at “Help” > “about” in Management Studio showed that it was full version. “Copy Info” gives you this information. 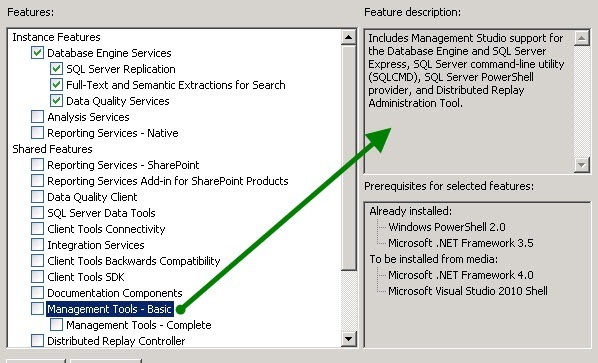 While doing some more research, I remember setup screen had option for Management Tools – Basic and Complete. 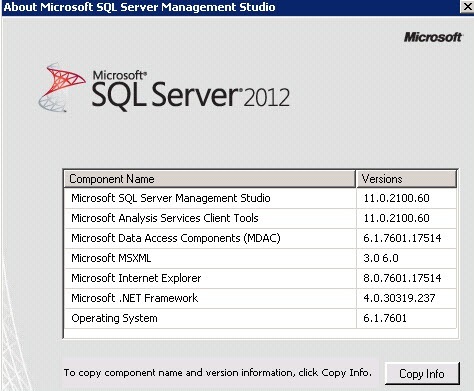 here is the screenshot of setup screen with both features highlighted. 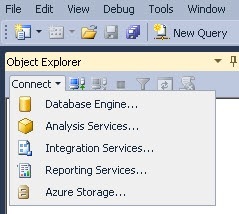 Now you should see FEATURES=ADV_SSMS in ConfigurationFile.ini and once you finish the setup, you should be able to select any option. Once you click on hyperlink and launch the report, it would show something like below. 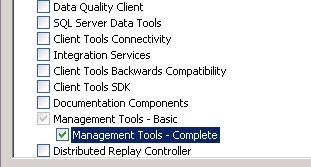 So after Adding Management Tools Complete, I could see that in report. Hope this would help someone in the world! I have been demonstrating AlwaysOn feature to various audiences on various forums (TechEd, SQL Saturday, Virtual TechDays etc.). 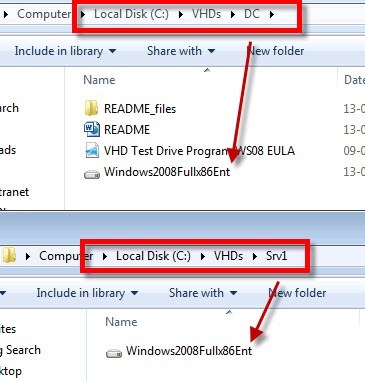 I have been using Windows Server 2008 R2 with Hyper-V to create multiple machine and demonstrate the feature. Someone asked me if he can do the same thing using his Windows 7 laptop? 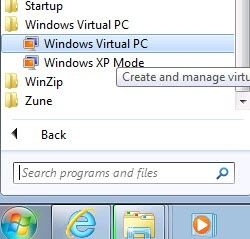 I tried looking at virtualization techniques available on Windows 7 and I found that it should be possible. I have tried to make it as descriptive as possible with step by step screenshots to configure whole setup.This topic would be a multipart series. 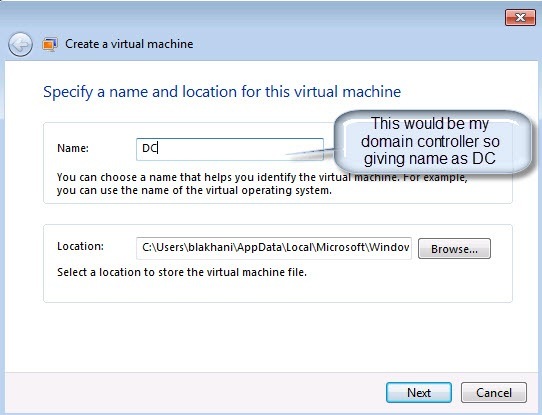 Configure Windows 7 to use Virtualization and Configure three machines (One domain controller, two member servers). Also configure networking between them. 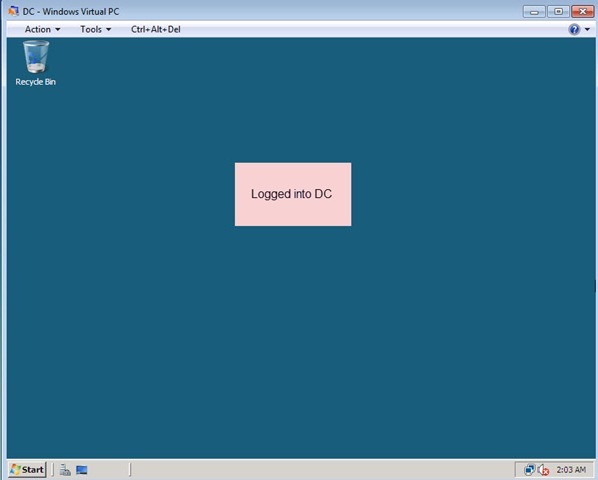 Create Domain and configure the machines to make sure they are able to talk to each other. 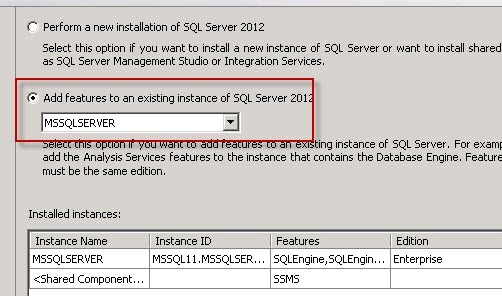 Install SQL Server 2012 on the servers. 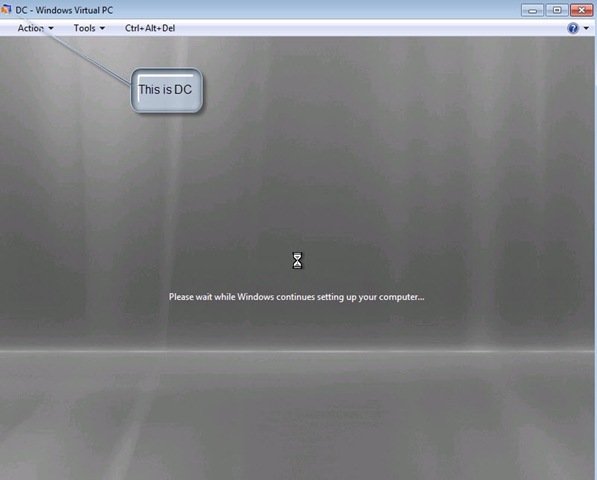 First download Windows Virtual PC on Windows 7 machine. 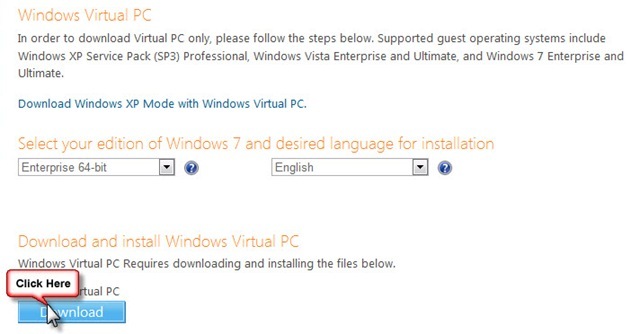 Go to http://www.microsoft.com/windows/virtual-pc/download.aspx and choose below option. I am not going to Install Windows XP mode. One clicked, choose your platform and language and click on download button. 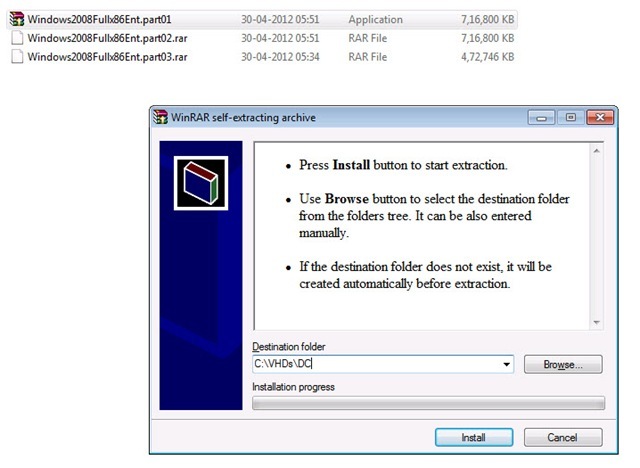 There are three parts which you need to download and then extract to user by Virtual PC. It would look like below. One done, lets go to network setting and choose “Internal Network” This is because I don’t want to create domain controller in my office domain network. Now start the first machine and make sure we are able to log in. 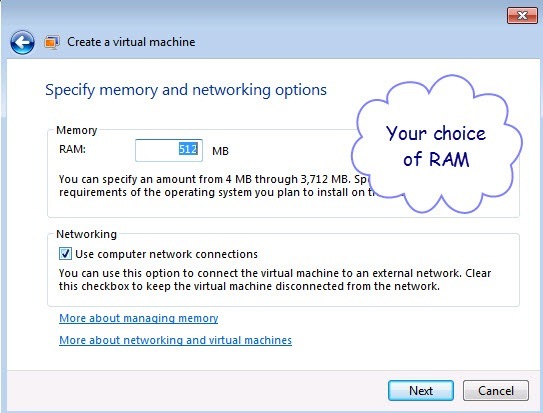 As homework, before moving to second part, you need to do the same thing with two more machines and here is what you should see in Windows Virtual PC. See you at next part of Series!